The snow is falling on a blustery mid-March morning, and I’m gearing up to begin rehearsals with the talented ROCKTOPIA team for an East Coast tour that begins later this March. 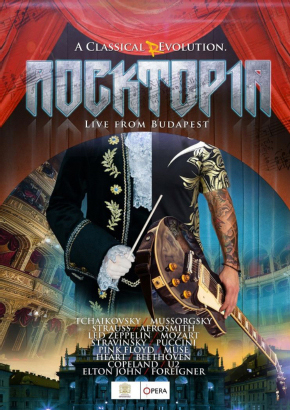 If you are in a PBS market that aired the Rocktopia- Live From Budapest concert over the holiday season, then you have a pretty good idea of how unique this epic show is. I’m incredibly excited to be part of this whirlwind of a tour, which will visit 23 US cities. (View tour schedule here.) For those who aren’t able to attend any of these dates, make sure you follow me on Twitter and Facebook— as more domestic and European dates are being added! Also, as I've been traveling so much over the past year, I’ve spent a lot more time posting on Instagram. So if you want to see what I’ve been up to, and keep up with visuals of my travels, follow me at @theofficialtonyvincent. In other news, at the top of the year I— along with my brilliant web designer— did a total overhaul of my website, www.tonyvincent.com. It’s cleaner, easier to navigate and really captures the feel of who I am. It’s also easier to find my tour schedule, listen to and purchase music, and see who I’ve recently partnered with (within the worlds of audio, photography and lifestyle). The site still remains my general online home-base, and I’d love to hear what you think of the changes— so drop me a line via the contact page. Well, I’m off to start packing my portable-studio, my DSLR and my trusty GoldToes. I look forward to seeing you all on the road— either with Rocktopia or The Music Of David Bowie!